Written by Colleen Sedgwick on August 12, 2014 . Posted in Newbies. 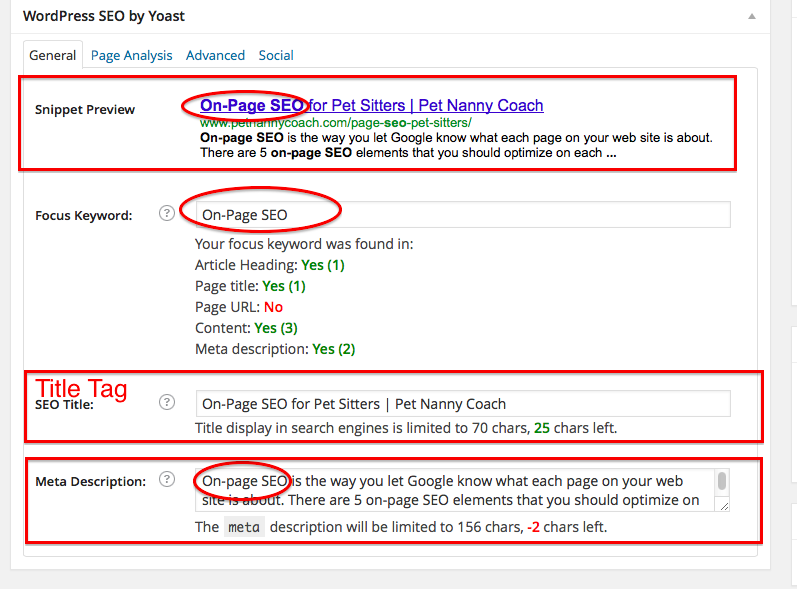 On-page SEO is the way you let Google know what each page on your web site is about. There are 5 on-page SEO elements that you should optimize on each page of your web site and today I’m going to give you that 5 point checklist. If you have a webmaster that works on your site for you, you can forward them this article. Otherwise, read carefully and start implementing these strategies! There are 5 points that you must consider when creating any blog post or page in WordPress. 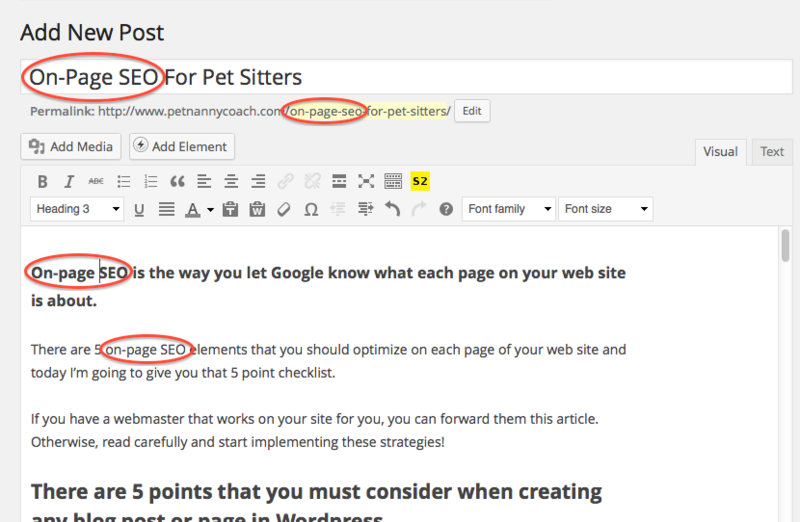 I use and HIGHLY suggest using Yoast SEO plug-in for WordPress. It is so simple and easy to use. I’m ticked I didn’t start using it sooner, but you don’t know, what you don’t know, right? What’s the slug? URL slugs are the exact address of a specific website. It is the location where webpages are accessed when typing their URL in the address bar. IMPORTANT: DO NOT change the slugs of existing pages or posts on your website without doing a 301 redirect from the old page to the new page. Google, and your users, do not look kindly on finding 404 Error pages where pages used to exist. The 301 redirect will permanently redirect anyone visiting a URL to a new URL. You can use a plug-in like Simple 301 Redirects to make things easy. You want to use the target keywords in your copy wherever it is natural. Do not try and force or stuff keywords into the text or you will lose the attention of your readers fast! A good rule is to always consider the users experience before your SEO ranking. NOTE: If you have difficulty working the target keyword into the copy then perhaps you should try a different keyword. The focus of this element is the ALT tag. ALT tags are invisible descriptions of images. You want to make certain that you add these descriptions for each image on a page. 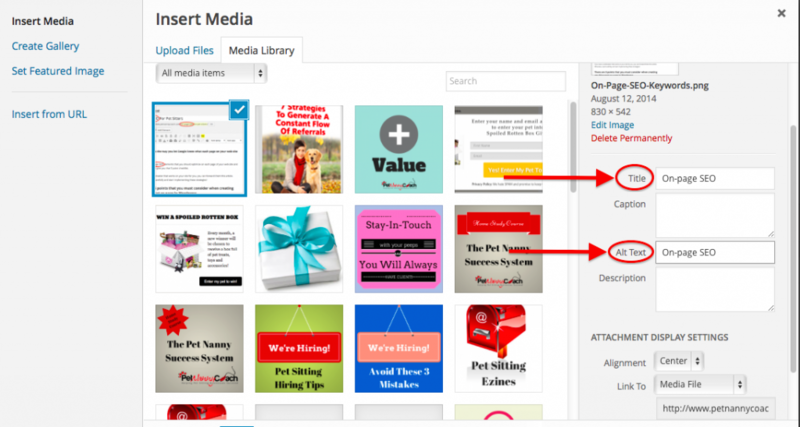 Use your target keyword as the description in the ALT TEXT and TITLE. NOTE: Google’s dislike for keyword stuffing extends to alt text as well, so it is to be avoided at all costs. This is The Big Whopper of the on-page SEO elements. The title tag is an HTML title element critical to both SEO and user experience that is used to briefly and accurately describes the topic and theme of an online document. 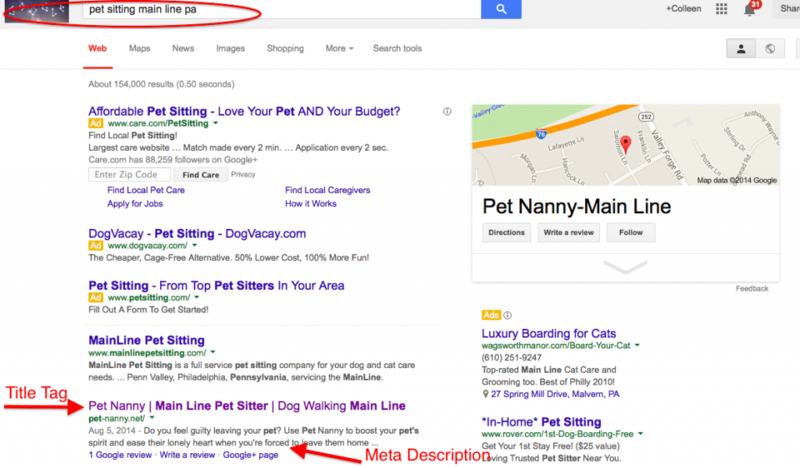 A meta description is the snippet of information below the link of a search result. Its purpose is to describe the contents of the page to the searcher. The end goal is to convince and persuade the searcher to click through to your website. Any words that match the search term are bolded in the description. This meta description will be read by most of the people that are choosing which search result to click on. So… it’s an important SEO element. The meta description is also pulled by a lot of the social sharing plug-ins as the descriptive text on what exactly is being shared. That’s all folks! It takes some practice, but most definitely becomes easier the more you do it. Your Homework Assignment: If you have a WordPress web site, (you should) download and activate Yoast and get optimizing! 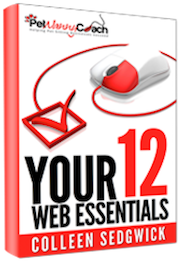 Enter your first name and email below and we’ll send Your 12 Website Essentials Cheat Sheet to your inbox. It’s 100% FREE!